Anyone know if Blues members are entitled to pre buy tickets for the QF along with season ticket holders? 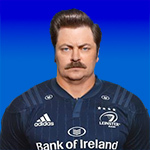 Blues were previously entitled to buy tickets after full members but before the hoi polloi - I don't know if this is still the case though, so your best bet would be to contact Leinster Rugby - they are generally pretty responsive to tweets for example. Season ticket holders were given the opportunity redeem their seat from 10am this morning. Associate members will receive an email during the week and will have a presale opportunity starting 10am Thursday 2nd February at a 10% discount. Anyone else trying to buy tickets? Logged in but no tickets for QF available? mfjoc wrote: Anyone else trying to buy tickets? They seemed well capable of shifting two nights of Ed Sheeran in 5mins this morning. The choose your own seats option has in the past been available after an hour or two so maybe just hold on a bit longer that is what I am doing. They totally screwed it up by not having the €10 tickets available for the first while, they're up now though. They were going head to head with Ed Sheeran at 10am (may have been a factor). I was trying to get both. Managed to pick up the 10 euro Leinster tickets but no luck with Ed. Bit of a result really!